Jungle Party Flyer Template PSD was designed to advertise this particular themed party in your club/pub/bar. If you are searching for a breathtaking design to advertise this kind of event, there are no doubts that you will like this one. The design is well sorted in folders, and all the elements can be removed or rearranged as you please. Nevertheless the design offers the possibility to write a lot of information, as there is a lot of space in the footer. The background of the forest, the grass surrounding the whole design, the funny monkey and all the elements used for this design make it one of a kind. All the elements were accurately designed to fit the template and to make it look perfect. NOTE : The model is not included inside the main file ! The image has been used only for demonstration purposes. There is a Smart Object inside the Model folder, so that you can easily replace it. Download link hidden, please LOGIN if you have already subscribed or PURCHASE A MEMBERSHIP to view. If you have problem with the design, you can contact me through my Facebook page. I usually answer within 24 hours. Once you purchase the flyer i can also customize the design for you without any additional cost. Thanks for your attention and for visiting XtremeFlyers, i’m looking forward to assist and to help you with your next purchase. Hello, where could i get the poster with this model included? Just contact me after purchasing and i’ll give you the free DL link! 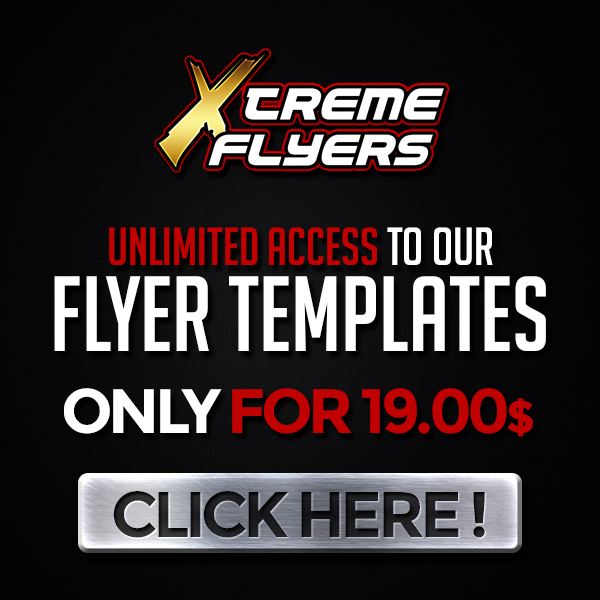 XtremeFlyers offers the best free and premium flyer templates to advertise your next event at the cheapest prices of the web ! We also offer assistance and free customization 24/7 ! If you have any questions do not esitate to contact us and remember to follow us on our social networks to stay tuned ! Visit the links below for support.